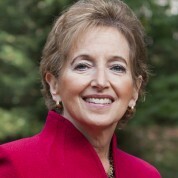 Karen Glanz, PhD, MPH is George A. Weiss University Professor, Professor in the Perelman School of Medicine and the School of Nursing, and Director of the UPenn Prevention Research Center, at the University of Pennsylvania. She is also Associate Director for Community Engaged Research and Program Leader for Cancer Control, at the Abramson Cancer Center of the University of Pennsylvania. A globally influential public health scholar whose work spans psychology, epidemiology, nutrition and other disciplines, her research in community and healthcare settings focuses on obesity, nutrition, and the built environment; reducing health disparities; and health communication technologies. Her research, funded for over $40 million over the past 25 years, focuses on cancer prevention and control, theories of health behavior, obesity and the built environment, social and health policy, and new health communication technologies. Her research and publications about understanding, measuring and improving healthy food environments, beginning in the 1980’s, has been widely recognized and replicated. She is a member of the NHLBI Advisory Council and served on the US Task Force on Community Preventive Services for 10 years. Dr. Glanz was elected to membership in the National Academy of Medicine of the National Academy of Sciences in 2013. She was designated a Highly Cited Author by ISIHighlyCited.com, in the top 0.5% of authors in her field over a 20-year period, and was named a Highly Cited Author from 2007 to the present and was designated as one of The World’s Most Influential Scientific Minds 2015 by Thomson Reuters.